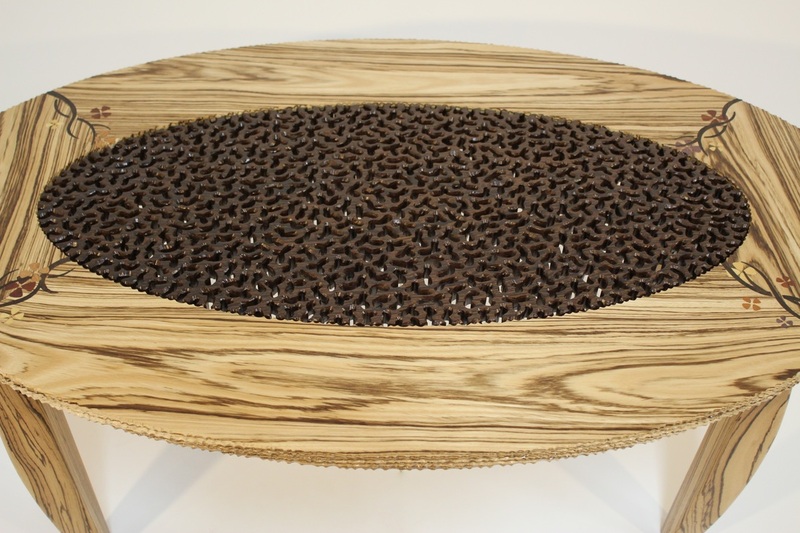 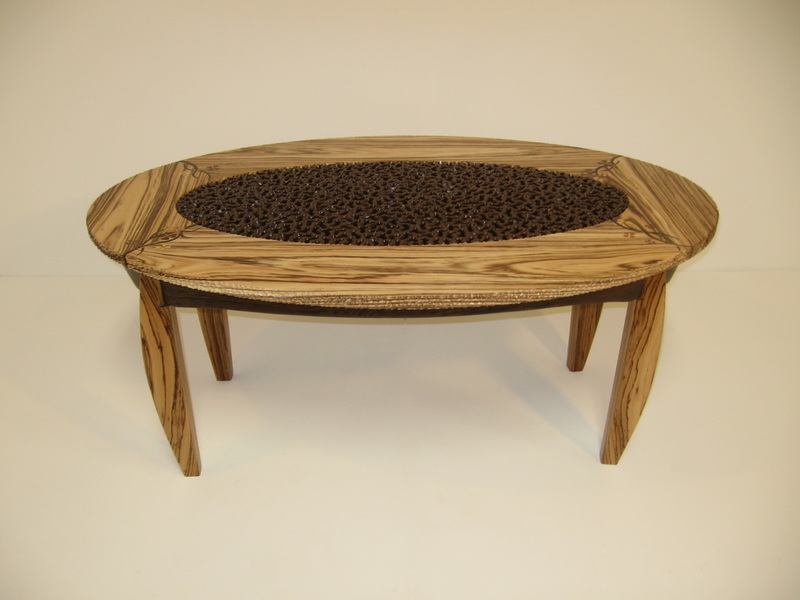 Oval table and legs made of Zebrano (Gabon) with bent Wenge (Cameroon) apron. 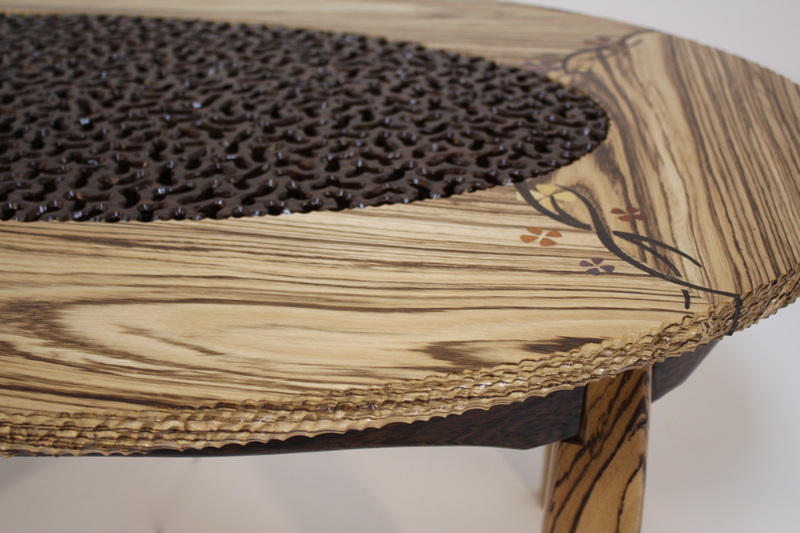 Freehand carved centerpiece called lacing, also made of Wenge. 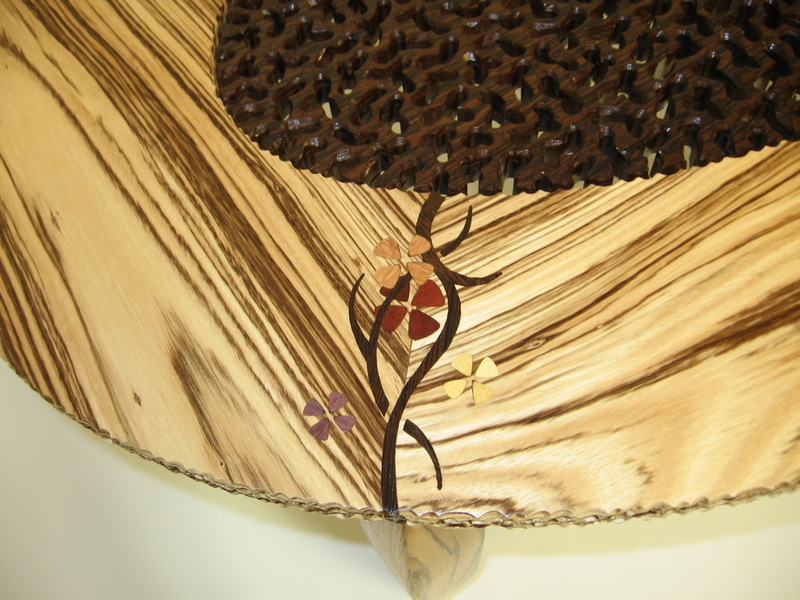 Flower inlays made of Bloodwood (South Africa), Purple Heart (Brazil), Lacewood (Australia) and satinwood (brazil). 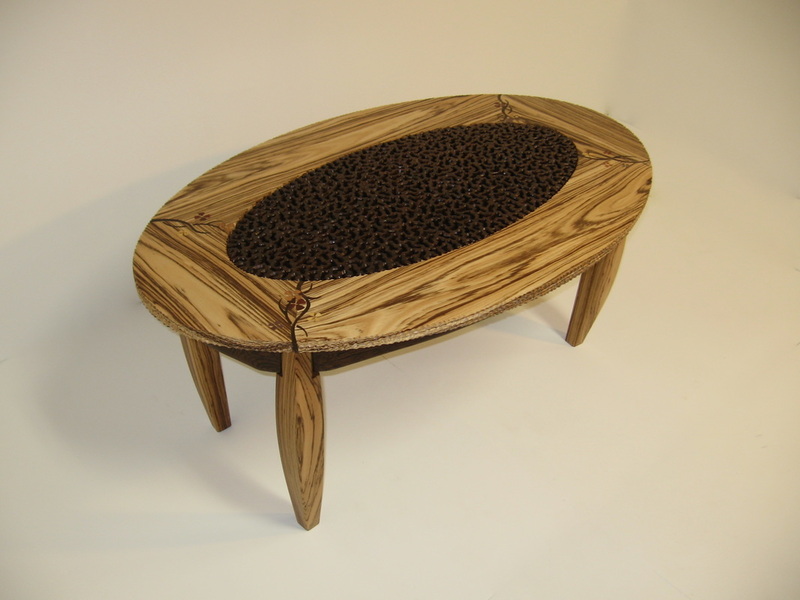 Finished with the original signature edge. 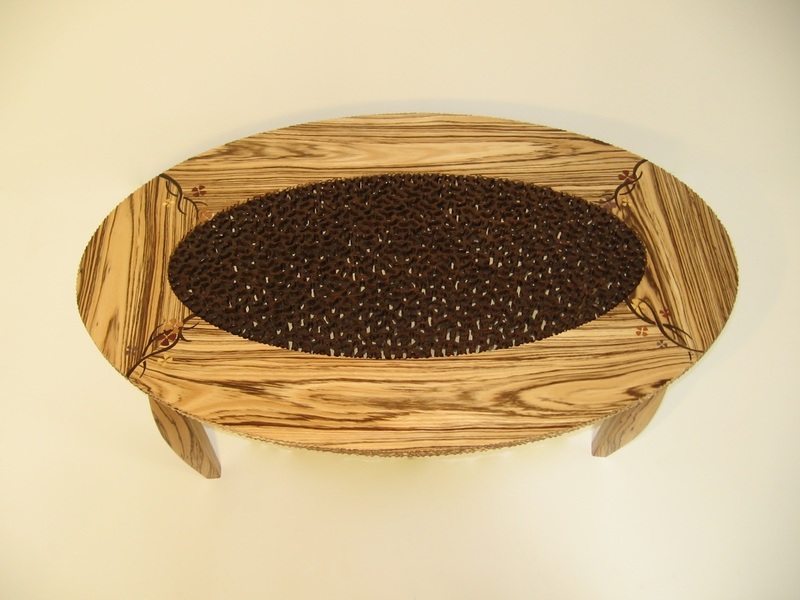 size - 48" x 30" x 20"